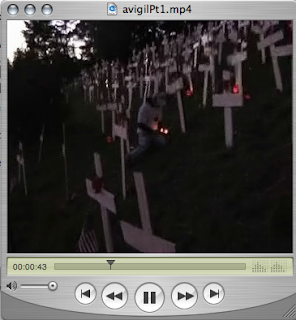 Footage from setting up for January 11ths candlelight vigil to protest troop escalation. The singing of “We Shall Overcome” comes from latter in the rally. The event drew roughly 300 people to the war memorial. Footage from the meat of this rally to follow later this week.